Tired of waiting for a seat at Din Tai Fung? Since we’ve already covered Why Din Tai Fung is Important as well as their unique Black Truffle Dumplings, save a few bucks and dine on some of the best Taiwanese and Taiwanese-inspired dishes that Taipei has to offer, located around the famous Yongkang Street at Dongmen MRT Station. A Taiwanese restaurant disguised as an elegant Parisian bistro, Bistro Le Pont specializes in one poultry: the goose. Almost every dish integrates a component of the goose, from goose meat and goose liver to meals cooked with goose oil. Here, you can enjoy a classy, delicious, and filling meal without breaking the bank. As a bonus, for those of you who listen to the singer Ding Dang (丁噹), she filmed her music video for “I’m still the same (我還是一樣)” in this bistro. This local favorite serves traditional Taiwanese home-cooked foods, so we highly recommend this restaurant to anyone who wishes to try authentic Taiwanese cuisine. This restaurant is great for groups, with ample seating and private dining areas (may requiring booking a reservation in advance). Since their menu is loaded with numerous mouth-watering items, you can order multiple dishes and share them family-style. If you’re not sure what to order, make sure to try the Pork braised rice 滷肉飯, Pork knuckle 豬腳, Braised cabbage 滷白菜, Braised tofu 油豆腐, and Oysters with garlic 蒜泥蚵. Insider’s Tip: The restaurant is found on Lishui Street near the intersection of Jinhua St. 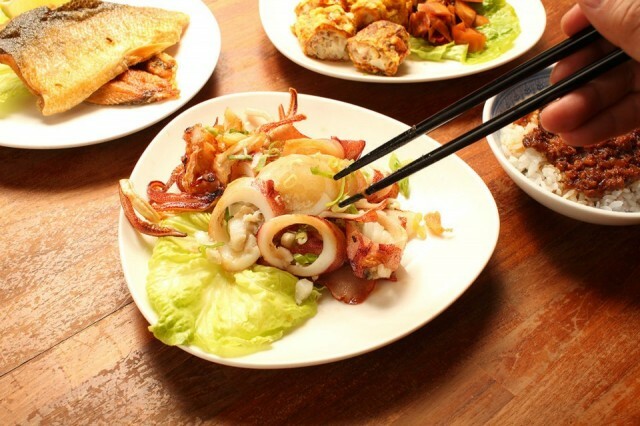 This restaurant specializes in traditional Yilan delicacies as well as a few dishes influenced by Japanese cuisine. Since Yilan is located in the Northeast coast of Taiwan, a lot of seafood is incorporated in their diet, including shark. If you want to try traditional Yilan dishes, make sure to order the Yilan pork liver (宜蘭粉肝), Deep fried pork (卜肉), and Gao zha (糕渣). 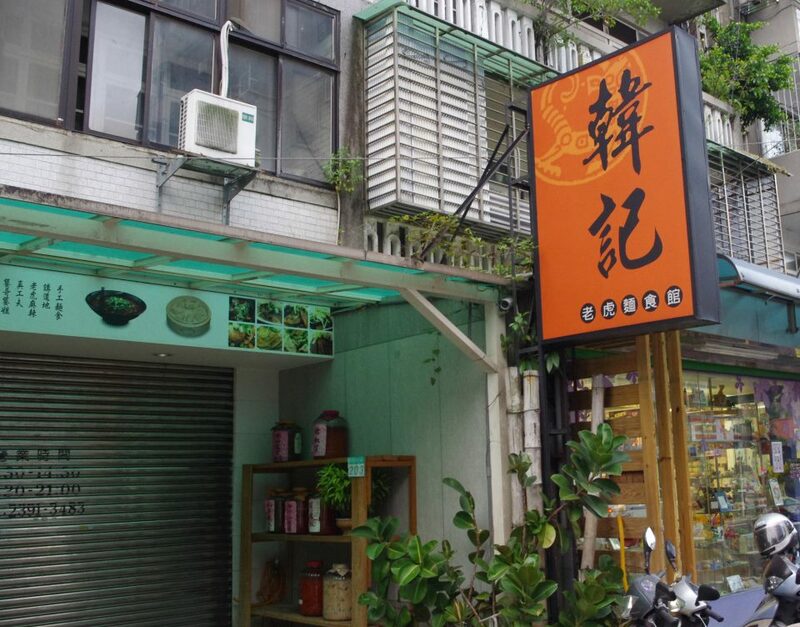 ­Insider’s Tip: Try their traditional Yilan kumquat tea. Originated from Shannxi province in China, the Hanji Tiger Noodle House inherits the unforgettable spiciness of the Szechuan cuisine. The most popular item on the menu is their signature dish, Spicy Tiger Noodles (老虎麻辣燙麵), which is similar to Taiwanese Beef Noodle Soup, but much spicier. If it’s not spicy enough for you, make sure to try their variety of fiery hot sauces. For those who can’t stand the heat, fear not: the restaurant also offers cooked noodle dishes, dumplings, and unlimited green bean soup. Insider’s­ Tip: The food is quite spicy—eat with caution! Like lemons, limes are known for their powerful detoxification effects, and this juice bar is all about locally grown limes. The drinks here are served with fresh lime juice mixed with other fresh fruits. The most popular drink is the pineapple juice with lime, which also includes chewy pineapple jelly. And if you’re really into limes, you can also purchase a locally-made lime vinegar here. Insider’s Tip: Receive 20% off if you show your student ID. While not an actual restaurant, the desserts they serve here are definitely restaurant quality, which is why there’s typically a really long line for this dessert stall, especially during Winter Solstice when Taiwanese people eat glutinous dumplings (湯圓) to celebrate the Dongzhi Festival (冬至). The family that owns this stall has been making traditional desserts from scratch for 40 years, and one of the best dessert spots of Yongkang. Insider’s Tip: Try their Sweet sesame dumplings 芝麻湯圓 in winter and the Tofu pudding with peanuts 花生豆花 during summer.